Omigod You Guys! 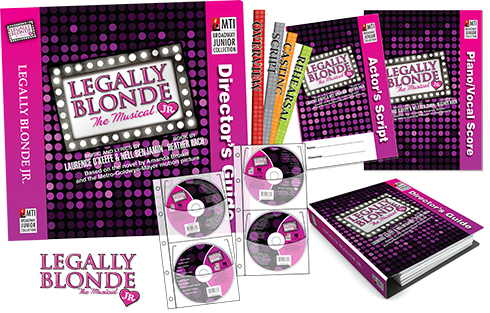 LEGALLY BLONDE JR. Now Available for Licensing! Everyone's favorite Harvard blonde, Elle Woods, takes the stage by storm in LEGALLY BLONDE JR. Adapted for younger performers and based on the popular movie, this show features an upbeat original score that's sure to leave cast members and audiences alike seeing pink! When Elle's high school boyfriend Warner dumps her and heads to Harvard, claiming she's not "serious" enough, Elle takes matters into her own hands, crafting a showy song-and-dance personal essay and charming her way into law school. Befriending classmate Emmett and spunky hairdresser Paulette along the way, Elle finds that books and looks aren't mutually exclusive - in fact, law may be her natural calling after all as she quickly begins outsmarting her peers. Check Out Photos from the Junior Theater Festival. 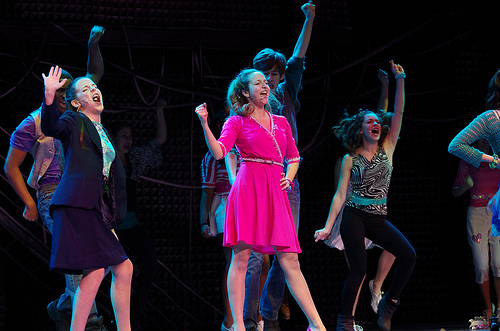 Explore these exclusive JTF performance photos to see how to bring LEGALLY BLONDE JR. to life on your stage. 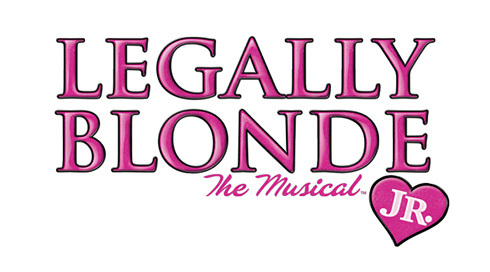 LEGALLY BLONDE JR. features a large, expandable cast, lead and supporting roles for male and female actors, as well as energetic production numbers. The show's sense of humor, as well as its themes of self-empowerment and open-mindedness, make LEGALLY BLONDE JR. ideal for young performers. Our ShowKit of Materials is Like Getting a Musical in a Box! With the MTI ShowKit™ that comes with every MTI Broadway Junior Collection® show, there's no way to fail! Even teachers with no theatrical training or experience can easily put on a successful production. All ShowKits™ contain helpful materials enabling you to make your musical the ultimate interdisciplinary teaching tool.